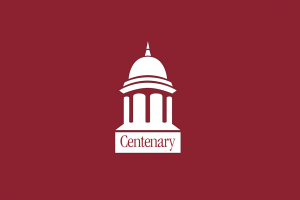 SHREVEPORT, LA — Centenary College’s Board of Trustees approved the election of three new members at its April 2018 meeting. Dr. P. Kirk Labor ’82, Mrs. Ellen White, and Dr. Melva Williams will begin their four-year board terms on July 1, 2018. Labor is a 1982 Centenary graduate and the son of Dr. Earle Labor, professor emeritus of English at the College. He is a board certified ophthalmologist and is the founder, medical director, and chief of surgery at Eye Consultants of Texas in the Dallas/Fort Worth area. He is internationally recognized for his work in refractive surgery and has pioneered several new procedures, technologies, and instruments in his field. In 2009 and 2011, Labor traveled to Kurdistan, Northern Iraq, where he treated local citizens and educated local doctors to bring more modern ophthalmic care to an underserved region. White is executive director of the Northwest Louisiana Interfaith Pharmacy, where she has worked since 2015. Prior to joining the Interfaith Pharmacy, she worked in equity analysis and sales for firms in Florida, Louisiana, and Texas. White is a graduate of the University of New Orleans and serves the community as a member of the YMCA Board of Directors and the Volunteers of America of Northwest Louisiana’s Planned Giving and Endowment Advisory Council. Williams is vice chancellor for student affairs and enrollment management at Southern University Shreveport. She began her career in higher education at Grambling State University in 2002 and served as associate dean of the college at Centenary from 2011 to 2013. Williams earned her undergraduate and master’s degrees from Grambling State University and her Ph.D. in urban higher education from Jackson State University. She serves as a founding board member and board vice president for Magnolia School of Excellence in Shreveport and is the co-founder of the Higher Education Leadership Foundation (H.E.L.F. ).